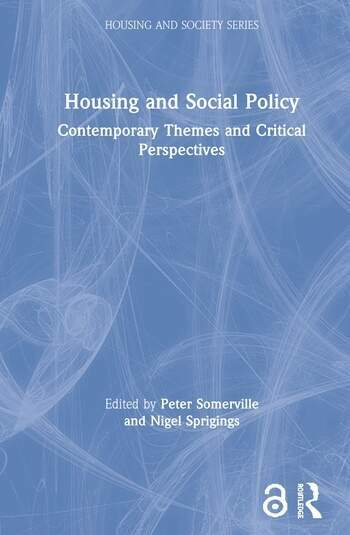 This topical book transforms the analysis of housing problems into a lively, interesting and contentious subject of social scientific study, addressing themes of residential experience, inclusion/empowerment, sustainability and professionalism/managerialism, which lie at the heart of the housing and social policy debate. Each chapter considers a specific social category - such as class, gender, or disability - and evaluates the experience and understanding of housing and social policy under this category. With innovative approaches to conceptualising housing and a clear, defined structure, Housing and Social Policy encourages students and practitioners in both arenas to think reflexively about housing as a central instrument of social policy and social experience.